Players looking to take a break from traditional match-three games can now try Sugar Tales, a level-based Facebook game that asks players to help a monster eat candy in large groups of bright colors. Instead of swapping the location of candies, players click on groups of three or more touching candies, while the monster moves around the board to eat them. In each level of Sugar Tales, players must click on groups of candies and pastries, but only those that physically touch the monster are eligible for removal from the board. As the monster moves around the board, different groups of items become active, while others become off-limits. Eventually, power-up pastries are added to the board, which may trigger explosions and clear large groups of candies from the screen. Gamers can also purchase boosts mid-level, like additional moves or additional time boosts, depending on the level. Each level has a different goal, like earning a set number of points before running out of moves, or earning points before time runs out. Gamers earn up to four stars on each level, and can repeat stages to increase their high scores or earn more stars. Each level also includes a leaderboard for tracking high scores against friends. The game uses a lives system for limiting the length of a single gameplay session, but users can purchase additional lives with real money. 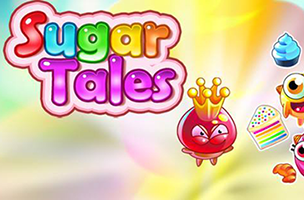 Sugar Tales is available to play for free on Facebook. An Android version of the game is also in development. Check back soon to follow Sugar Tales on AppData, our tracking service for mobile and social apps and developers.